Make sure you have a clear view of the road or trail ahead, no matter how foul the weather, with a fresh set of windshield wiper blades from JustforJeeps.com. Old wiper blades smear and streak your windshield, making it hard to see, especially in muddy conditions. Install a fresh set of Mopar wiper blades in your 2011 to 2018 Jeep Grand Cherokee WK2. 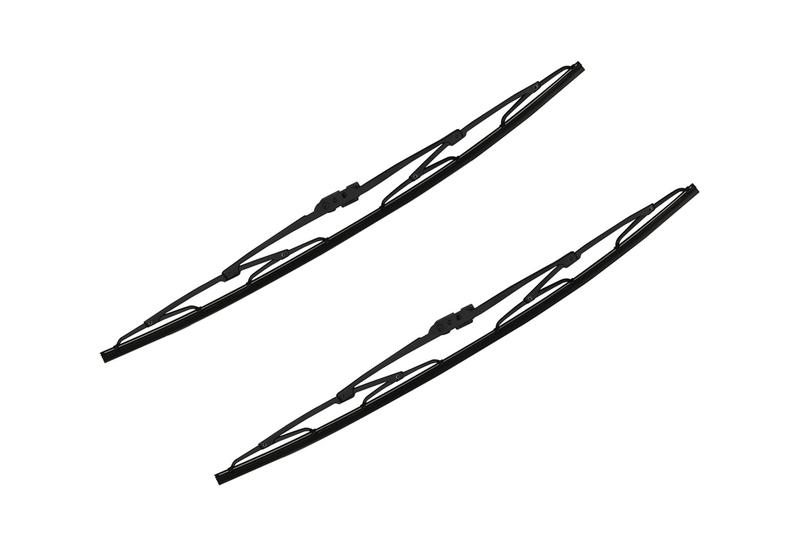 This set includes both the driver's side (Item # WB000022AM) and passenger's side (Item # WB000021AM) wiper blades. These blades are from the Mopar value line and do not look the same as the factory blades. They are the same size and function great for half of the price of factory!